Possible Canon EOS 7D Mark III Rumor Update / Announcement Date: The Canon EOS 7D Mark II was released on 15 September 2014 as the replacement for the Canon EOS 7D that was released on 1 September 2009. 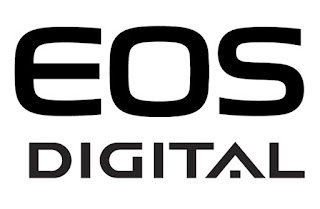 With current advances in Canon EOS APS-C and Full Frame sensors,DIGIC image processors, autofocus systems and connectivity options (Wi-Fi / NFC / Bluetooth). Its expected that the release cycle for a possible Canon EOS 7D Mark III may be shorter in terms of a possible release date (compared to the EOS 7D to EOS 7D Mark II release). Is the Long Overdue Canon EOS 7D Mark III Arriving in Early 2019? Is the Long Overdue Canon ROS 7D Mark III Arriving in Early 2019? Canon EOS 7D Mark III to be Announced between Photokina 2018 and Photokina 2019? Canon 7D Mark III Coming Before Sep 2018? Canon EOS 7D Mark III Pushed Later Into 2018? When s the Canon EOS 7D Mark III Coming? When is the Canon EOS 7D Mark III Coming?